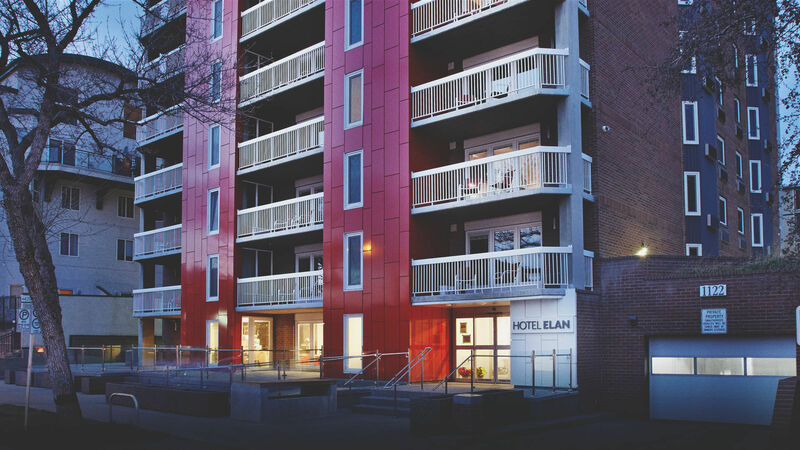 Hotel Elan is a boutique hotel with 62 rooms and suites. All of our luxurious suites feature stylish design, complimentary internet, phone calls, and breakfast. The suites feature in room meeting space for 4 to 6 people and the main floor has two conference rooms with smart boards and video conferencing technology. All rooms have blackout blinds, luxury linens and bath amenities from L'Occitane. 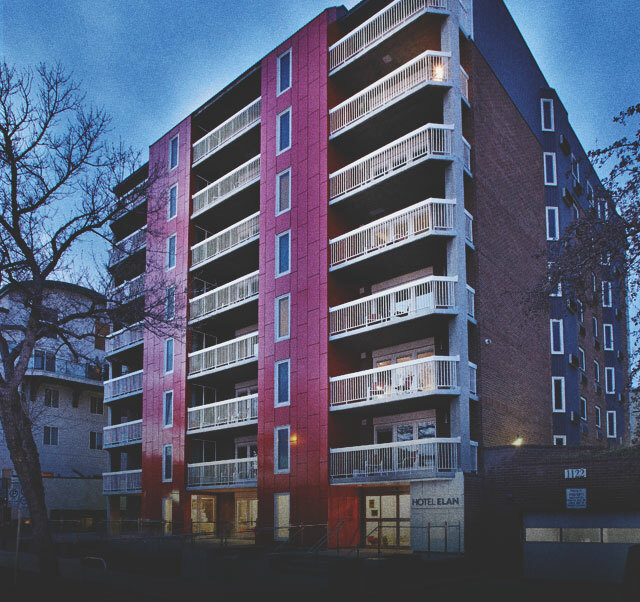 The hotel is centrally located, just steps away from the 17 Avenue Retail and Entertainment District, and minutes from the downtown business core. Experience ultimate comfort at the Hotel Elan, a boutique hotel with 62 rooms and suites. All of the luxurious suites feature custom bathroom fixtures and beautifully designed furniture imported straight from Italy. Each guest room and suite also provide complimentary 15 MB internet wi-fi, phone calls to 75 countries worldwide, and a delicious deluxe continental breakfast. With in-room perks like blackout blinds, soundproof walls, luxury linens, dimmable light fixtures, bath amenities from L'Occitane, elegant pillow-top mattresses, and heated toilet seats. The hotel is designed to make you feel pampered and well-looked after to ensure you have a comfortable stay. Hotel Elan is just steps away from the city’s trendy 17th Avenue Retail and Entertainment district, explore the district to find great attractions, like CIBO restaurant or Gravity Pope boutique shop.